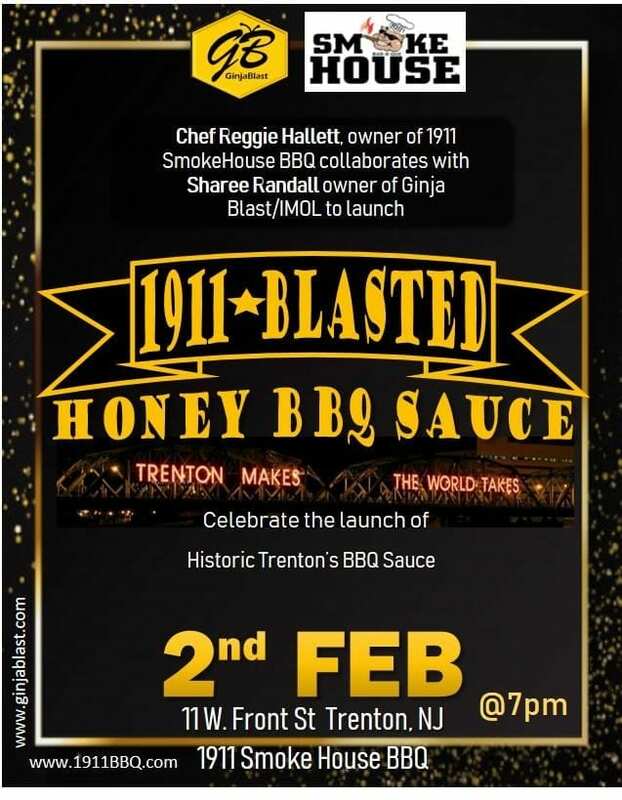 All are encouraged to get their taste buds ready as the Capital City debuts its own special sauce on February 2nd at 7 p.m. as Reggie Hallet, Executive Chef of Trenton’s renown 1911 Smokehouse BBQ, and Stacy Randall, owner of Ginja Blast, debut 1911 Blasted Honey BBQ Sauce. 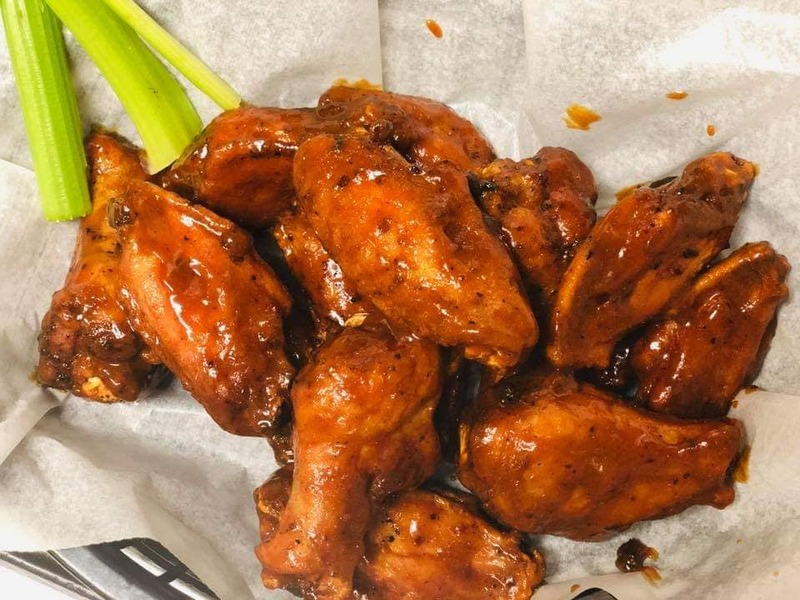 Trentonians and those throughout the region have come to know 1911 Smokehouse BBQ, owned by brothers and Trentonians Maurice and Reggie Hallett, as the go-to spot for wings, bbq, ribs, meats and so much more. The restaurant has garnered wide acclaim by attracting visitors to the Downtown, creating jobs, and offering some of the best food in the region. Ginja Blast was founded by native Trentonian Sharee Randall. Randall was raised in Trenton and has gone on to become a rather successful entrepreneur in the Washington D.C. area. 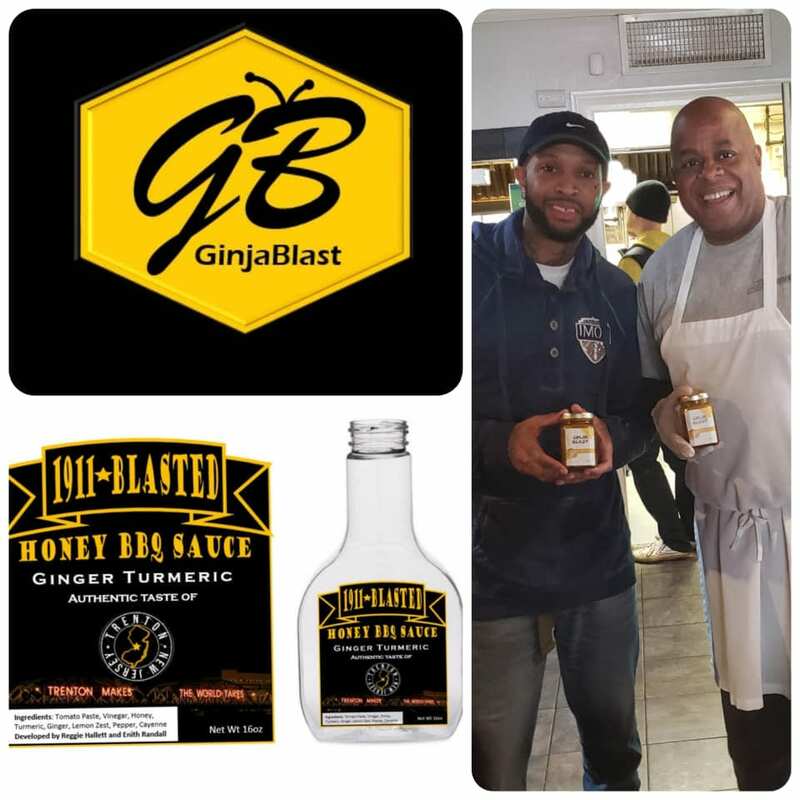 He founded Ginja Blast, which is an all natural blend of honey infused with organic ingredients, after unfortunately losing his mother to cancer and then researching healthy and natural food options. Sharee and Reggie met at an event in Trenton that 1911 Smokehouse BBQ was catering and Randall was sure he could make the perfect barbecue sauce out with Reggie’s products. After the event Reggie gave him the opportunity which turned out to be a success as patrons loved the new honey barbecue sauce. Just as residents and visitors know Washington, D.C. for its Mambo Sauce, Trenton will be known for its own special sauce, 1911 Blasted Honey BBQ Sauce. Patrons can order sauce at the restaurant on an assortment of delicacies or grab a bottle for their own kitchen and backyard barbecuing that will go perfect on wings, ribs, chicken, and of course pork roll. To learn more or purchase 1911 Blasted Honey BBQ Sauce, visit 1911 Smokehouse BBQ at 11 W. Front Street and online at http://1911bbq.com/. To learn more about Ginja Blast, visit www.ginjablast.com.